Skippering a yacht for the first time can be a daunting yet exhilarating experience. The RYA Day Skipper practical course is designed to teach you to "Take Charge" safely and confidently. A skipper does much more than navigate. They are responsible for the complete safety and wellbeing of the yacht and crew. These responsibilities include weather forecasting, victualling, engine maintenance, sail selection and handling, passage planning, watch keeping, navigation and pilotage. Your experienced and patient instructor will teach you these skills and you will put them into practice as you skipper the yacht on short passages around the Solent. There is particular emphasis on boat handling for Day Skippers and during the course you will practice mooring under various conditions. 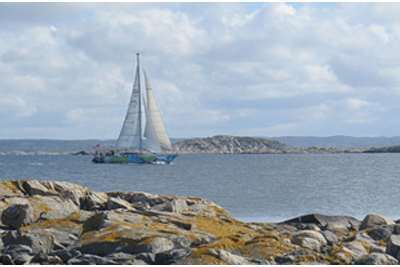 Students live aboard for the duration of the course and visit many different harbours and anchorages to practice pilotage techniques which, like boat handling, is an essential skill for the aspiring skipper. You will complete at least 4 night hours sailing to experience night pilotage and identify lights. At the end of the RYA Day Skipper course you will be confident to skipper a cruising yacht on short passages by day. Students who successfully complete the Day Skipper course are awarded the RYA Day Skipper practical course completion certificate and can charter from the school. This course will also enable you to apply for the ICC (International Certificate of Competence). This qualification is required by most European countries to validate your competence to own or charter a boat. The ICC, obtained by presenting your RYA Day Skipper certificate, will cover sailing yachts up to 24 metres in length in coastal waters. If you are looking for a commercial endorsement you will also need to complete the PPR course. Weekends: 1830 Friday until approximately 1600 on the last day. Weeks: 1830 on the first day until approximately 1600 on the final day. Click here for an example schedule of how you will spend the week or weekend. All food except the evening of joining, wet weather gear and accommodation onboard. Mooring fees are an extra and we suggest that you budget ampproximately £15 per weekend and £20 for 3 and 5 day courses. For details of what you should bring please refer to the FAQ's section. Duration: 5 days (Sunday to Friday or Tuesday to Sunday) or 3 weekends or one 3 day weekend and 1 standard weekend. Previous Experience Required: 5 days aboard, 100 miles logged and 4 night hours. Basic sailing ability and a knowledge of navigation to the level of the RYA Day Skipper Theory. Course Overview: Practical navigation and pilotage, boat handling, seamanship and basic skippering techniques enabling you to skipper a boat in local waters in daylight. Normal course ratio 5:1. 3:1 on selected dates. 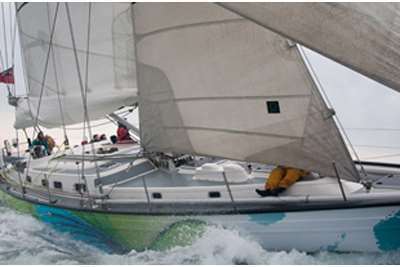 Click here to view full course syllabus for the Day Skipper course. Cost: 5 Days £510 - £540. 5 Days £899 3:1 Ratio. 3 Weekends £580 - £660. 3 Day weekend plus 2 day weekend £599 - £630.